-- 1887 nee RIES. Wife of Charles F LANG. Married: 21 Apr 1861 in Posey County, Indiana. Daughter of John George & Susanna Catharina (WOERNER) RIES. Son of Charles F & Caroline Margarethe "Margaret" (RIES) LANG. Infant of John George & Susanna Catharine (WOERNER) RIES. Husband of Susanna Catharina (WOERNER) RIES. Son of Johann Fredrich & Maria Anna (ULLMERICH) RIES. nee CHAPLIN. Wife of David O RIES. Daughter of Warren Silas & Kathryn Gertrude (McCLURE) CHAPLIN. nee WOERNER. Wife of Johan George RIES. Daughter of Georg Jacob & Maria Catharina (WECKESSER) WOERNER. 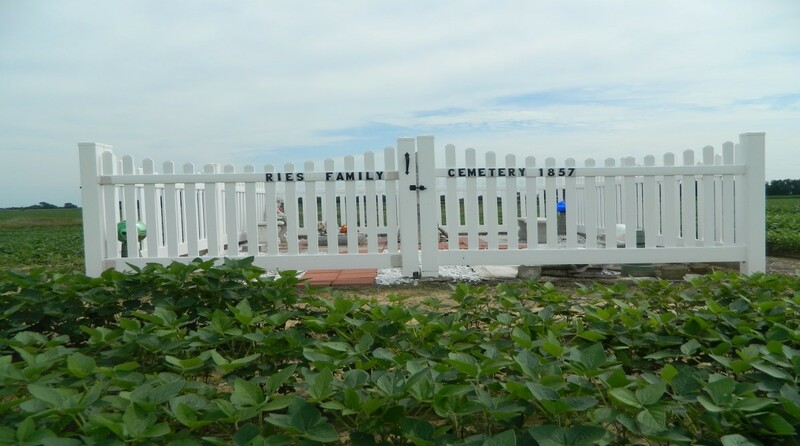 Thanks to the Ries family and Debra Guffey for providing information and photos for this cemetery. 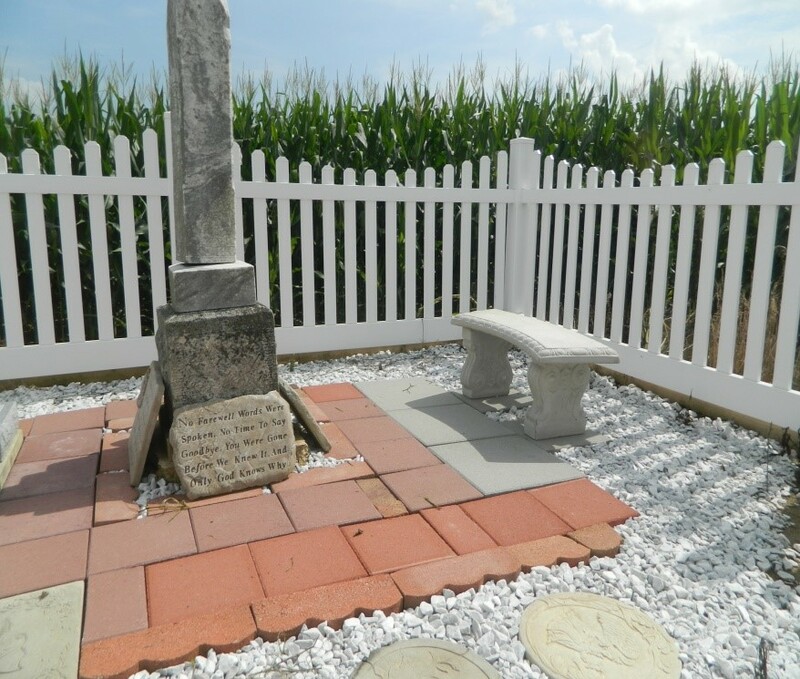 View of cemetery looking to the west. View of the interior of the cemetery.